2) SKP900 can be updated online for free. 3) No need pin code for many cars, can read pin code for many vehicles. 4) SKP900 can do all key lost as well. 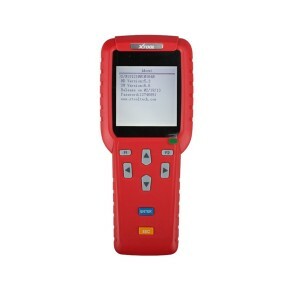 5) SKP900 can work for Toyota G chip key matching. 6) SKP900 supports English and Portuguese. 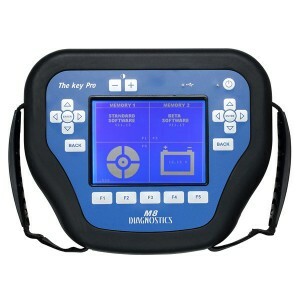 1) Key Pro M8 is a powerful and professional key programmer mainly for relative old cars pre 2006 cars and some from 2006 to 2015. 2) It is a must for professional locksmith who needs matching keys for many car models. 4) OBD2eShop M8 comes with 800 free tokens. When tokens are used up, you can buy chips to recharge. 1) CK100 is the newest generation SBB and supports more car models than Silca Sbb, including some 2014 car models. 2) CK100 V99.99 can support Lexus RX350 07-09, SBB can’t; CK100 V99.99 covers Lexus SC430 02-10, SBB only cover 02-06; CK100 V99.99 can do Corolla (CAN) from 2009 to 2012, SBB up to 09. 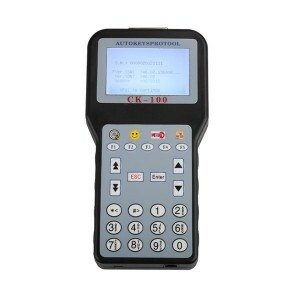 3) CK100 can only communicate with the standard OBDII protocol vehicles. If a car is not standard 16pin connecter and not standard OBDII protocol, you can use T300 instead. 4) CK100 has 1024 tokens, after use it up, you can buy chips to recharge. 2) X100+ can be updated online. 3) X100+ makes key for the vehicle models from China, Asia, Europe and America. 4) X100+ supports Toyota G Chip Via OBD, but it does not support all, some can, some can’t.